€7,500 pcm. Apartment Rented Minimum Rental Period: 12 Months. 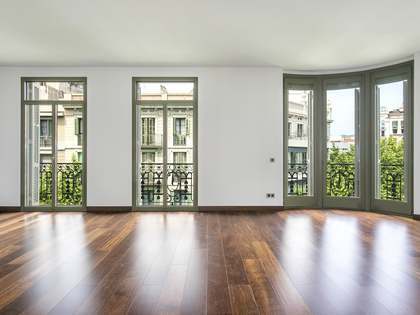 Impressive 440m² apartment with a terrace, for rent next to Passeig de Gracià. 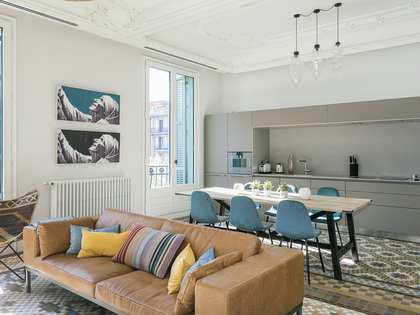 This spectacular apartment to rent is located next to Passeig de Gracia, Barcelona's most exclusive street. Modernista features combined with modern design make this a very elegant and charming aparment in the city centre. Measuring 440m², the apartment has 2 living areas, one at each end of the property, which are particularly impressive. 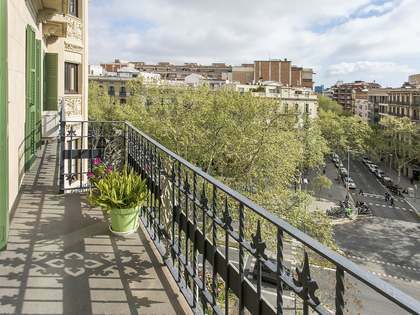 One measures 60m² and has access to a large terrace with fantastic city views, the other measures 100m². The modern kitchen is fully equipped and there is a bar for informal dining whereas the dining room is perfect for entertaining and family meals. There is also a convenient utility room. Of the 5 bedrooms, 3 have an ensuite bathroom. There is also a sauna for added luxury. 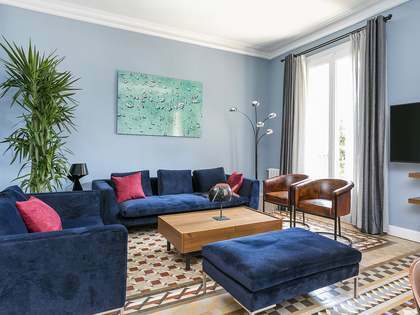 This apartment is located next to Passeig de Gracià, home to the city's most exclusive shops and a wide range of bars and restaurants; the most desirable area of the city to live in. 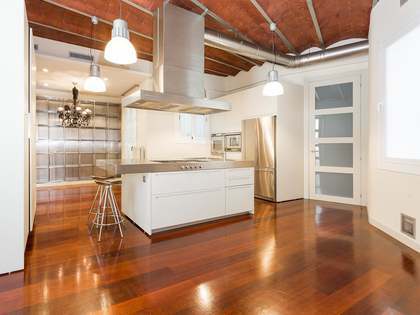 Gaudi's famous La Pedrera and Cassa Batlló area just a couple of minutes walk away.